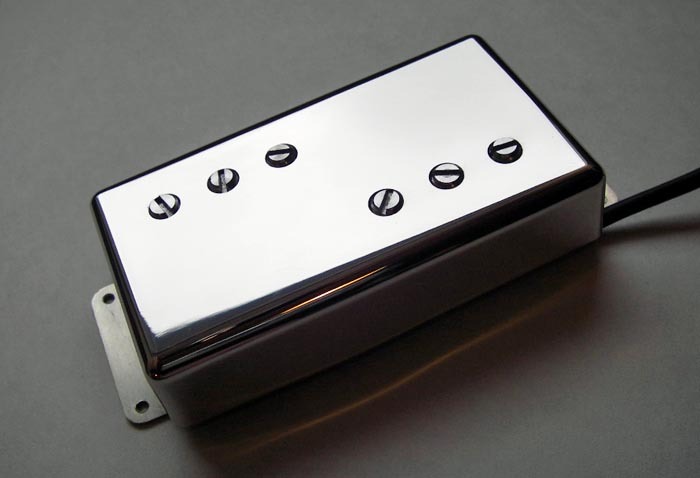 Based on original 1975 Wide Range humbuckers. (three pcs.) 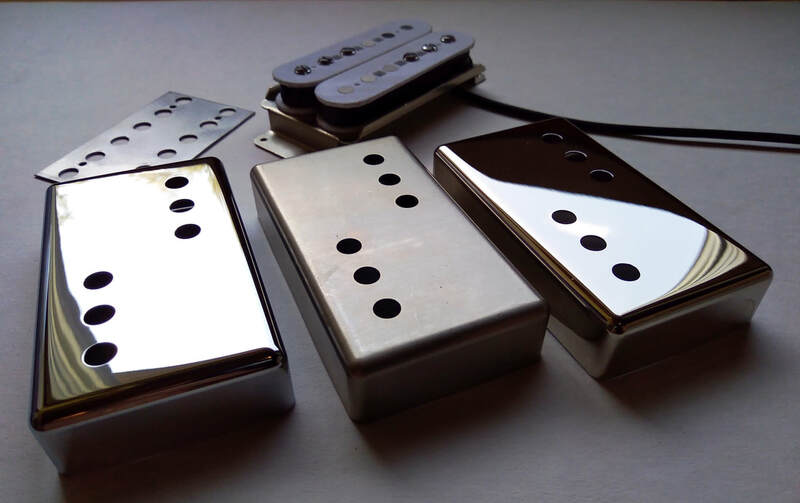 Bobbin size, steel reflector plate size and thickness, amount of winding turns, turns per layer, magnet wire type and thickness and magnet gauss level are taken from original pickups. 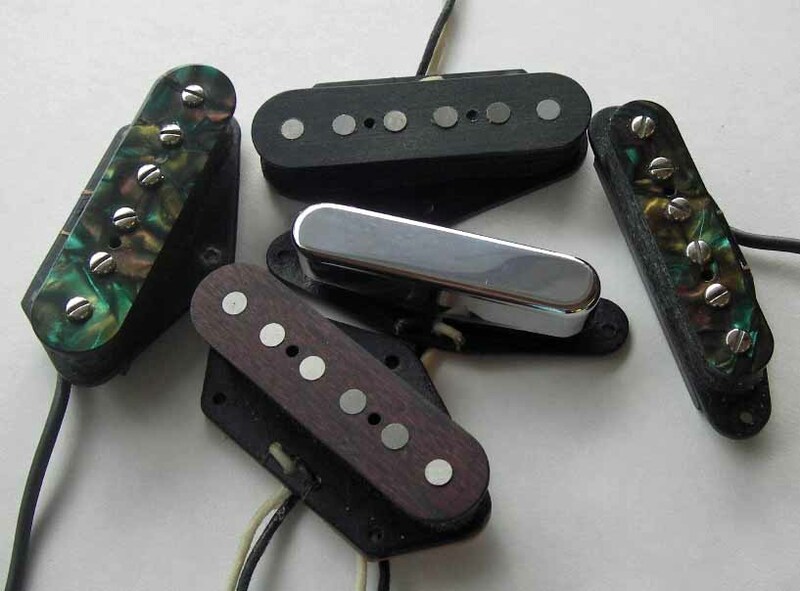 Wide Range pickups originally used threaded CuNiFe rod magnets. Nowadays CuNiFe magnets seem to be very hard to source, that's why I ended up using degaussed threaded Alnico 5 rods as visible pole pieces and fully gaussed non threaded Alnico 3 rods as hidden pole pieces. This combination of today's magnets produce most authentic "fat" tone with smooth but bright highs. 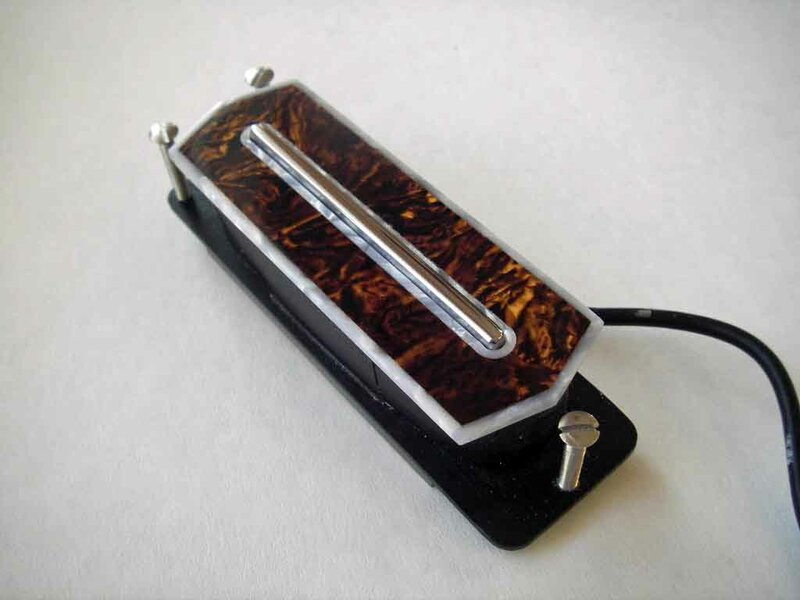 Neck pickup is slightly underwound for better pickup balance. Two or four conductor shielded wire available. 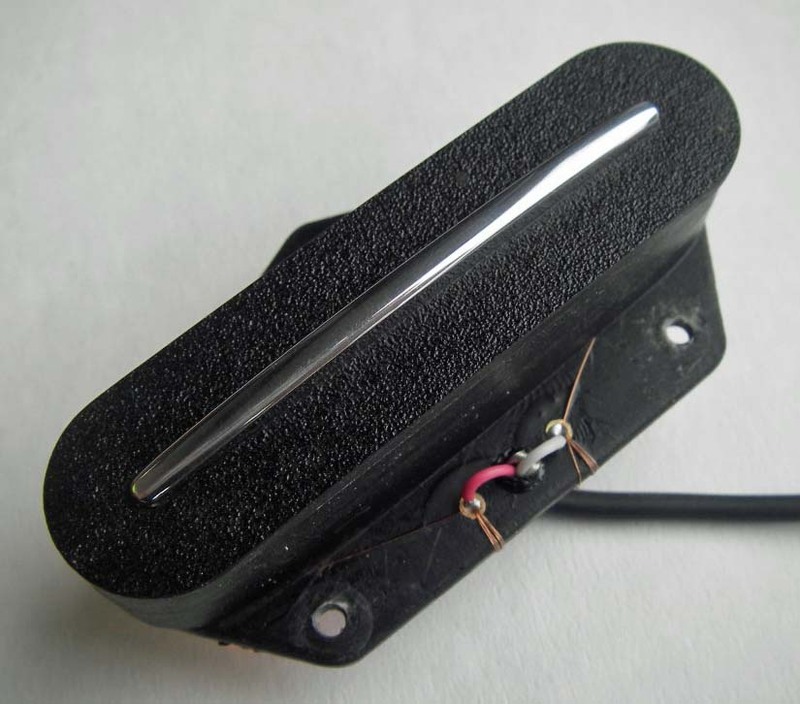 The pickup comes with mounting screws. Cover colours: Nickel, Chrome or raw nickel.